We had the best day photographing Katie and Phil in downtown Wilmington. They opted to have their wedding and reception at 128 South on Front Street, and we had a beautiful summer day for it. 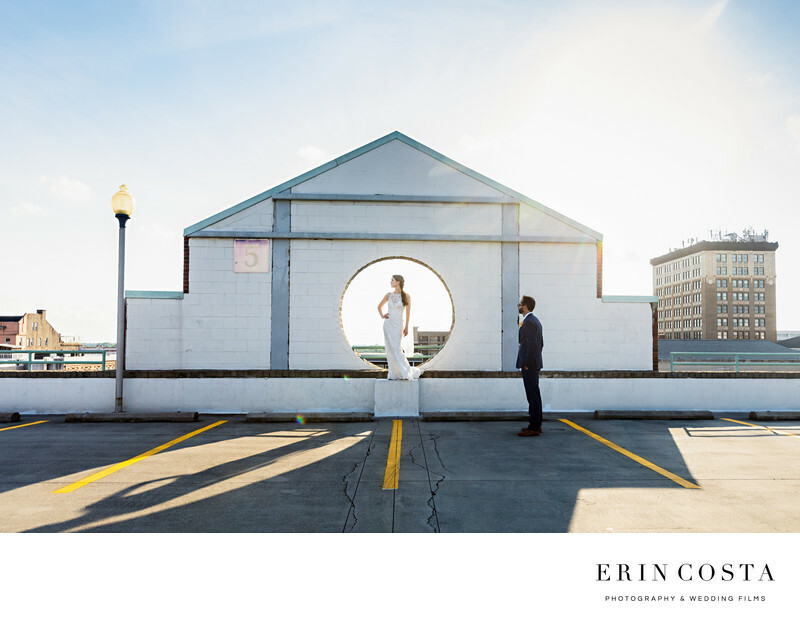 After their ceremony, we wondered through downtown Wilmington for their bride and groom portraits, and ended up at this parking deck off of Princess Street. I wanted to showcase how beautiful and strong Katie was, so I had her hop up into the opening on the wall. At first I was going to have Phil move out of the frame, but I ended up keeping him there because it reminded me of what several people had said during their wedding ceremony. They said the knew Katie was the one for Phil because of the way he looked at her whenever she entered the room. Whenever I look at this photo, I will always think of that symbolism.